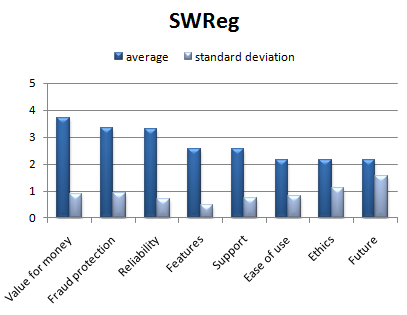 An anonymous survey of software vendors shows that the average sale to visit ratio is very close to the much quoted “industry average” of 1%. 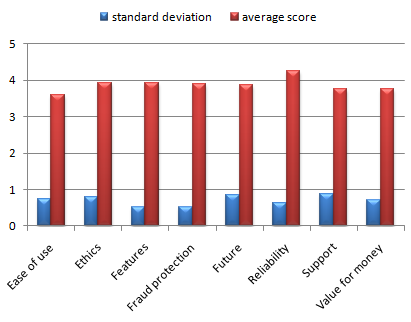 However the data shows large variations between products and across different sectors (e.g. 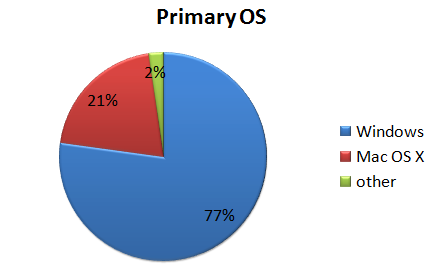 Windows vs Mac OS X). 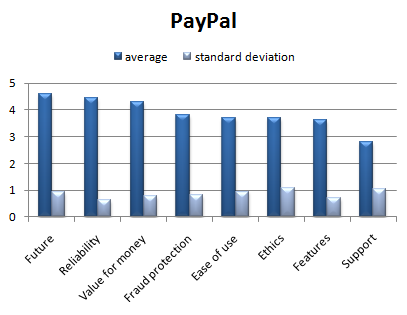 The data set comprises 92 valid survey responses to an 8 question survey in April 2009. The survey was advertised through a request on this blog, posts on BOS, ASP, MACSB, OISV and BOSnetwork forums and emails to the author’s contacts. 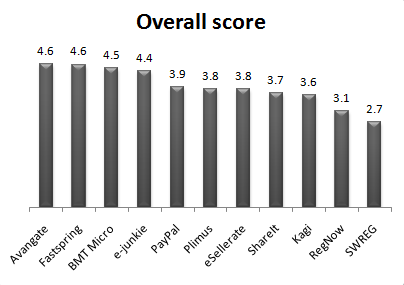 The results are inevitably biased towards small software vendors, due to the places where the survey was advertised. 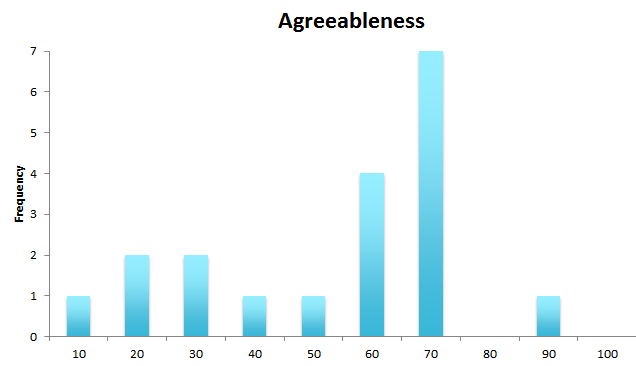 As the survey was anonymous it is impossible to verify the accuracy of the data. 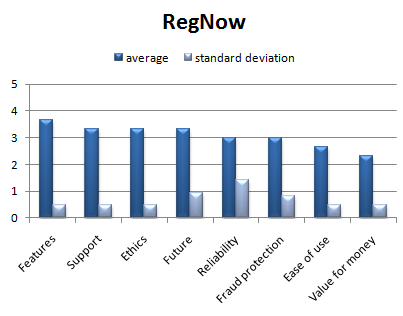 However it is unlikely that many vendors would have completed a survey that wasn’t anonymous. 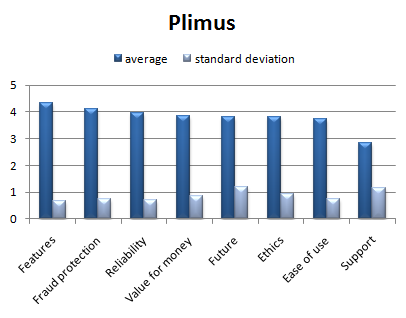 The survey consisted of 3 compulsory questions (unique visits, downloads and sales over a given timeframe) and 5 optional questions (the time frame of the data, primary market, primary OS, licence price and trial type). One record had 0 visits (an iPod app), another had 0 downloads (presumably a web app) and a few had numbers that I didn’t consider statistically valid for some purposes (e.g. 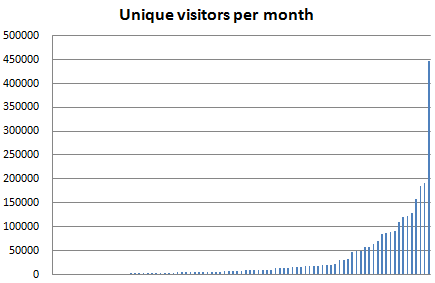 <500 visits per month or <3 sales transactions per month). 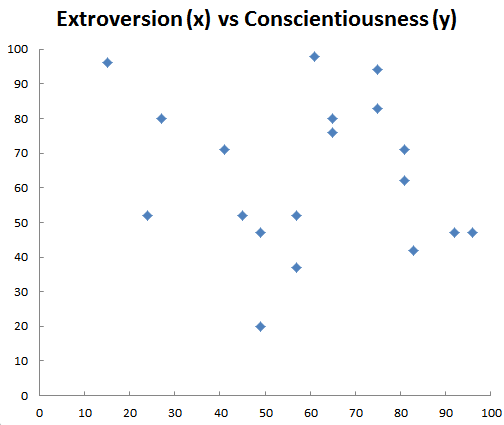 I did the best I could with the data available, ignoring obvious outliers in some cases. Where a time frame for the results was given it is possible to work out the range of visitors, downloads and sales per month. 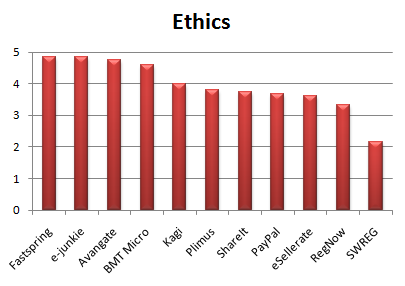 This gives me some faith that the data is reasonably accurate and representative of the industry as a whole. 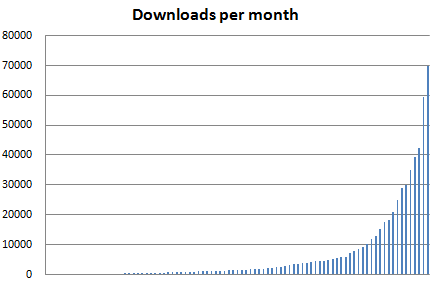 The average (mean) ratio of downloads:visits across all products is 28%. 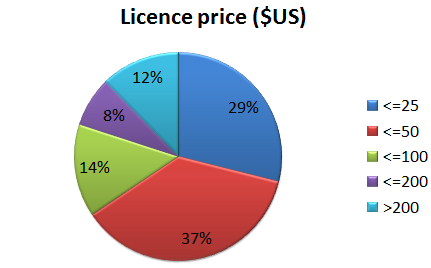 50% of products are in the range 12.1% to 35.3%. 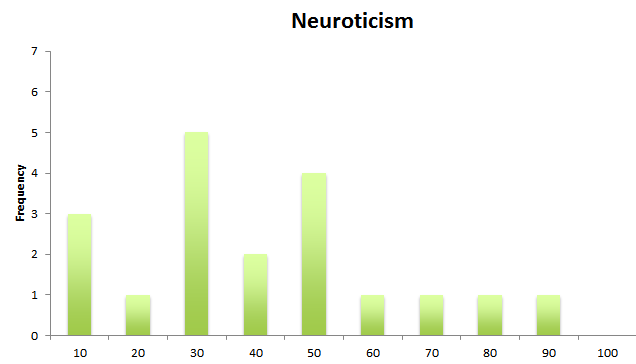 I am surprised at how high the average ratio is. This could partly be due to products that receive a high percentage of downloads from download sites, without the downloader ever visiting the product site. 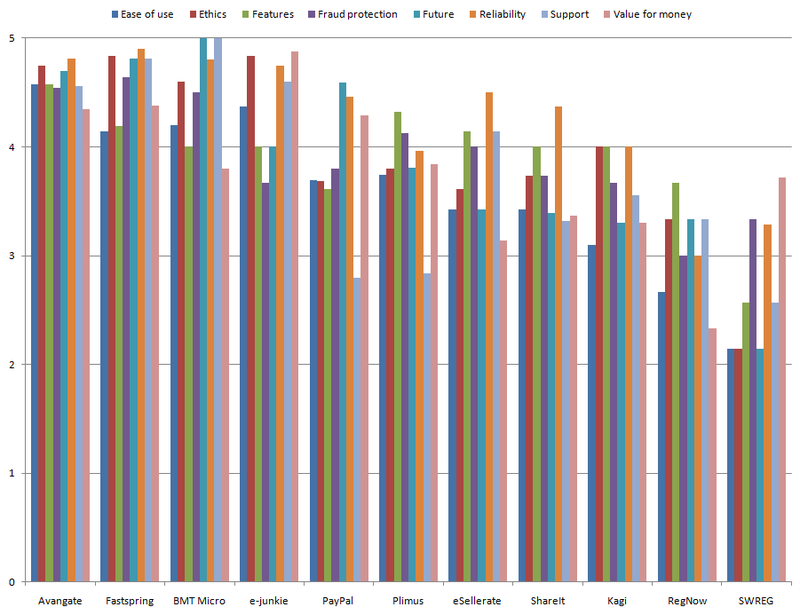 Conversely sites where visitors make frequent returns after purchase (e.g. 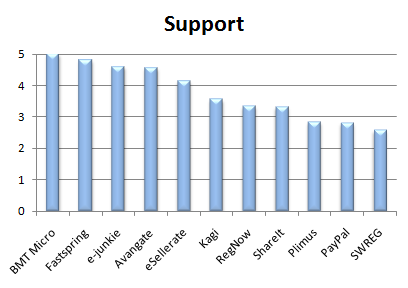 to read forums) will have a lower downloads:visits ratio. The average ratio of sales:downloads across all products is 4.5%. 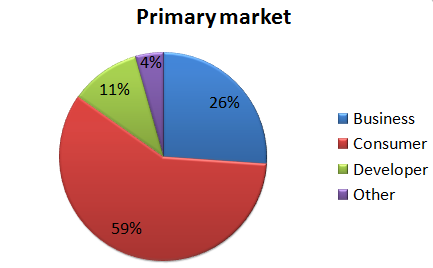 50% of products are in the range 1.3% to 6.4%. 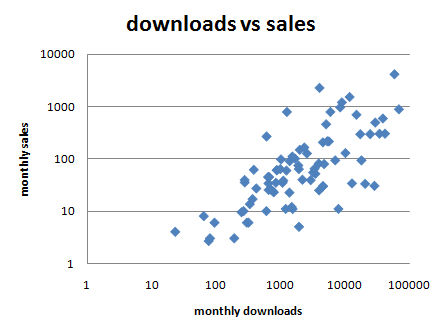 The average sales:downloads ratio is noticeably lower than the average downloads:visits ratio. 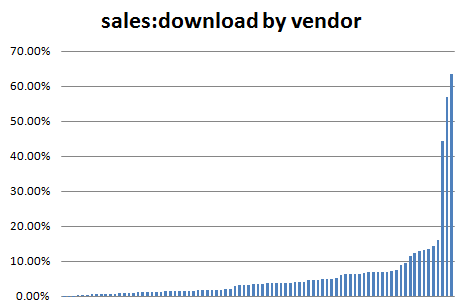 The sales:downloads ratio is noticeably skewed on the right of the graph – a sales:downloads ratio >20% seems very high. 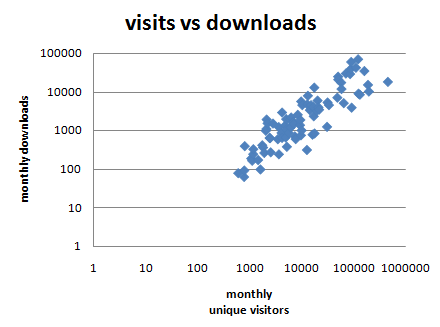 The (logarithmic) scatter plots below show that the downloads:sales ratio varies a lot more than visits:downloads ratio. 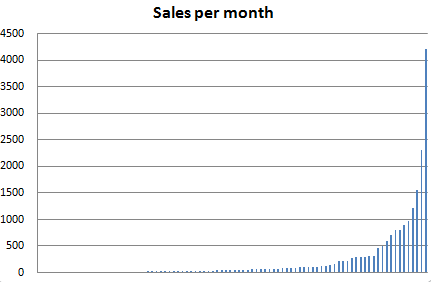 The average (mean) sales:visits ratio of all products is 1.16%. 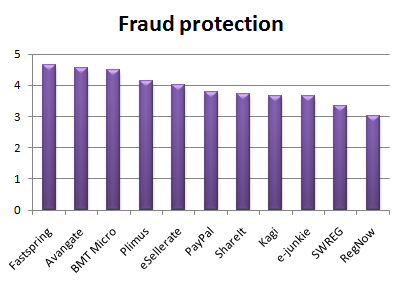 However one of the product ratios is an obvious outlier at 13.94% (see below). 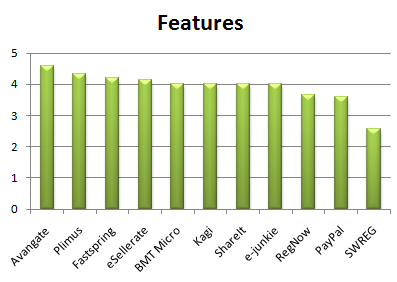 With this outlier removed the average sales:visits conversion ratio across all the products is 0.99%. 50% of products are in the range 0.28% to 1.39%. 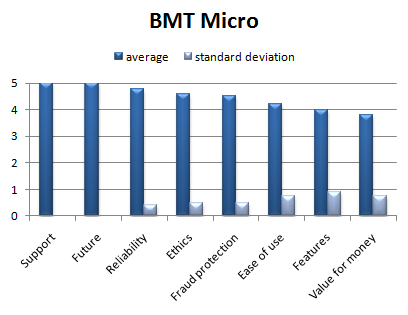 0.99% is suspiciously close to the mythical ‘industry average’ of 1%. But I haven’t (consciously) massaged the results to get this figure. 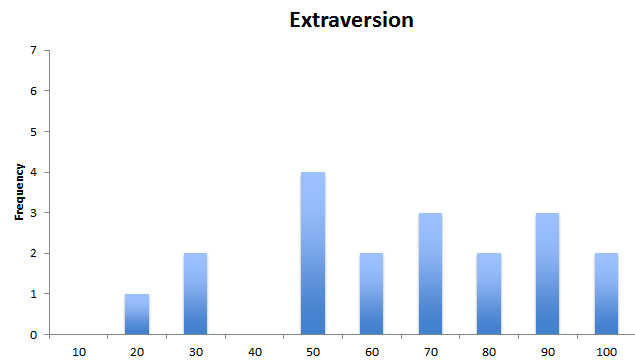 You can work out how you compare to this data set using the red (cumulative) graph in the histogram below. 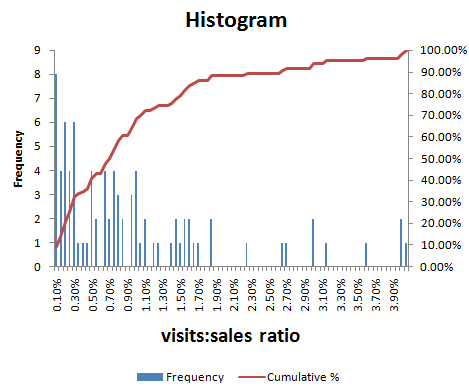 For example, if your product sales:visits ratio is 1.5%, then it is higher than approximately 80% of the products in the data set. 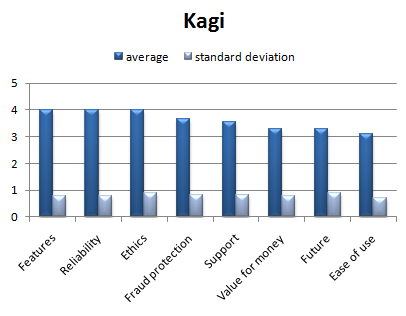 We can also look at how the ratios vary across sectors. Surprisingly the average Mac product conversion ratio is more than 4 times the Windows product conversion ratio. 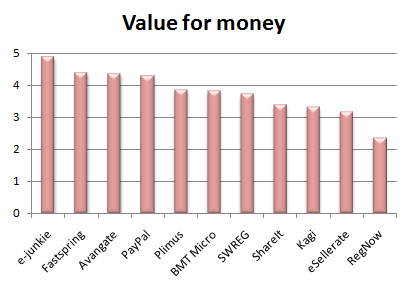 Mac owners more ready to spend money. 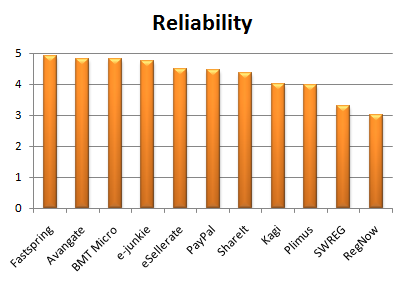 There is less competition in the Mac software market. Mac vendors have a higher percentage of purchasers who never visit their site due to higher quality of Mac download sites. 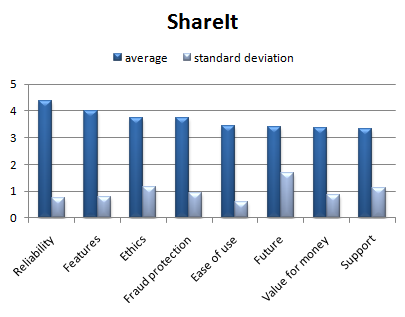 It is a statistical blip (there are a lot less Mac products in the survey). 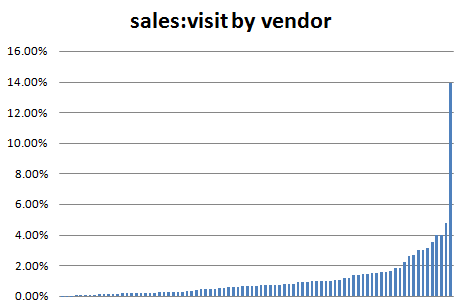 My own experience with selling a cross-platform product (Perfect Table Plan) on Windows and Mac OS X is that the Mac sales:visits ratio is approximately double that for Windows. 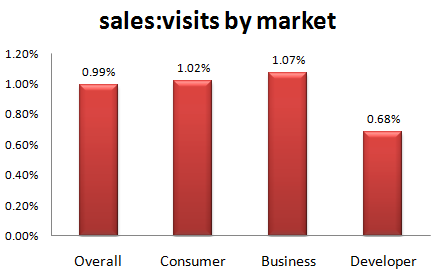 The sales:visits ratio is similar for business and consumer products, with developer products lagging behind. 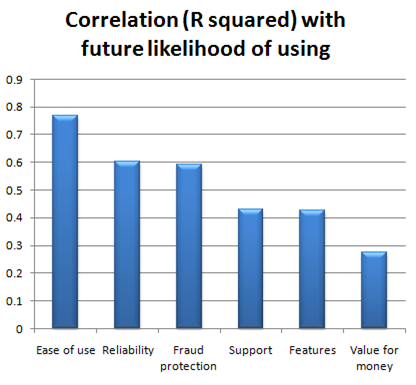 However there are too few developer products in the data set to draw any real conclusions. 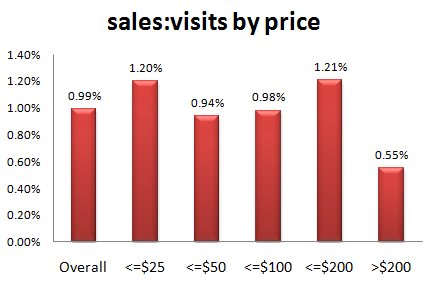 The sales:visits ratio does vary across the price range. 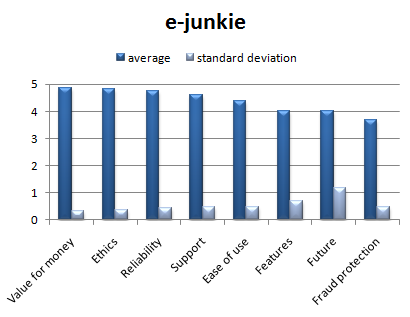 However there are too few products with price >$50 in the data set to draw any real conclusions. 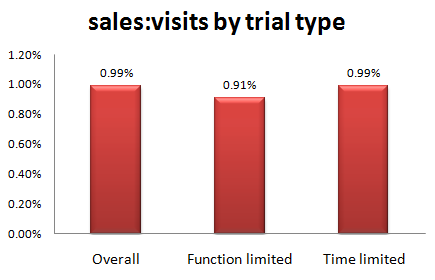 The sales:visits ratio does not seem to vary significantly by trial type. 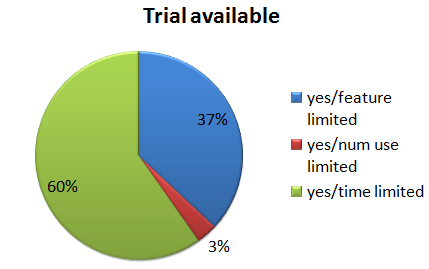 There were insufficient ‘number of use’ trial products to include them. One has to be careful about drawing conclusions from a relatively small and unverifiable data set. 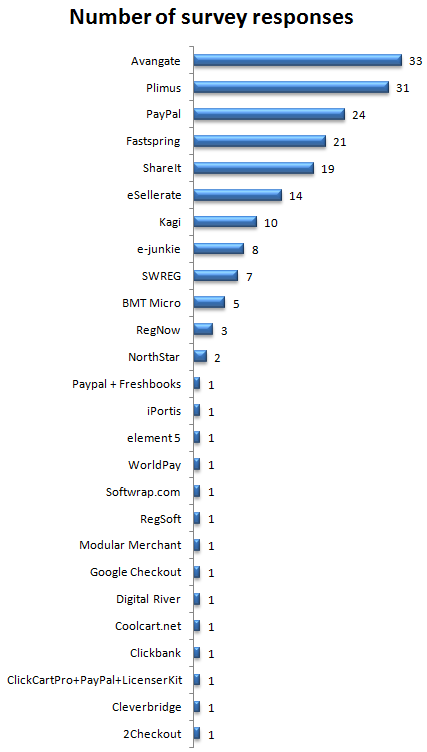 However the results certainly seem to support the much-quoted “industry standard” sales:visits conversion ratio of 1%. But there are huge variations between products. 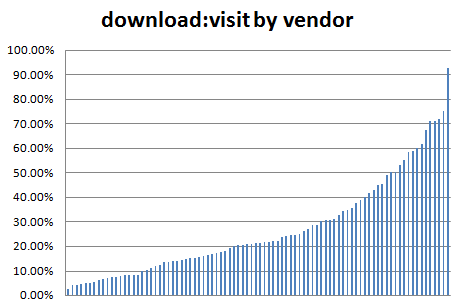 The fact that the sales:downloads ratio is both lower on average and more variable than the downloads:visitors ratio implies that getting people to download is the easy bit and converting the download to a sale is a tougher challenge. 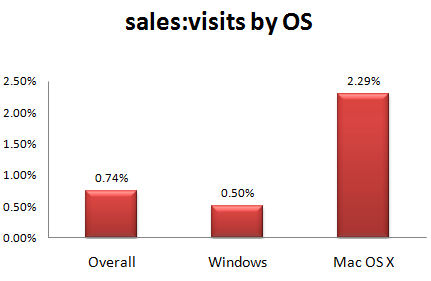 The average sales:visits conversion ratio is noticeably higher for Mac OS X products than Windows products. This is supported by anecdotal evidence and the author’s own experience with a cross-platform product. 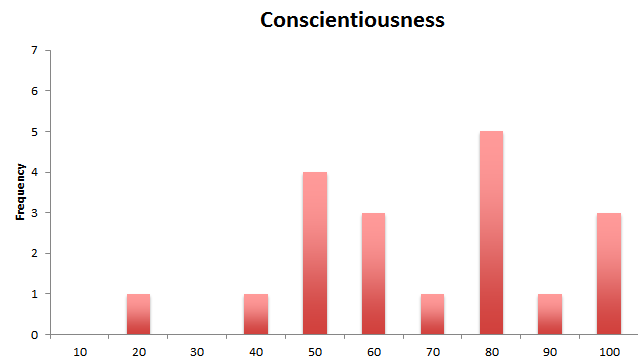 However the number of Mac respondents to the survey is too small for the result to be stated with any great confidence. Also remember that the Mac market is still a lot smaller than the Windows market before you rush off to start learning Cocoa and Objective-C. These ratios can be useful for a number of purposes, including: identifying a bottleneck in your conversion funnel (is your downloads:visitors ratio low compared to other products? ); estimating how much traffic you might need for a viable business; or estimating how much you can afford to bid on Google Adwords. 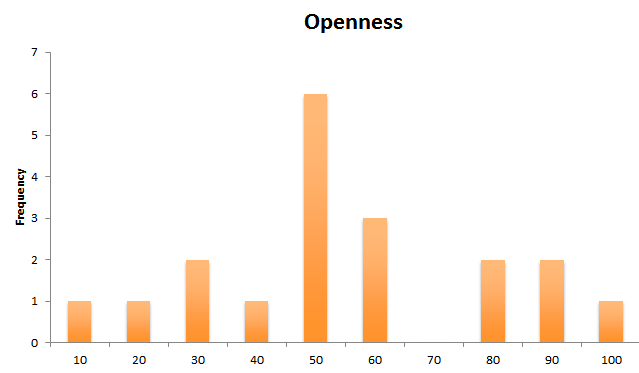 And it is useful to track how these ratios change over time (I track mine on a monthly basis). But make sure you compare like with like if you are comparing your ratios with other products. For example, a 10% sales:downloads ratio might be achievable for a niche business product, but unrealistic for a casual game. And remember that these ratios are only one part of a bigger picture. There are other, more important, metrics. 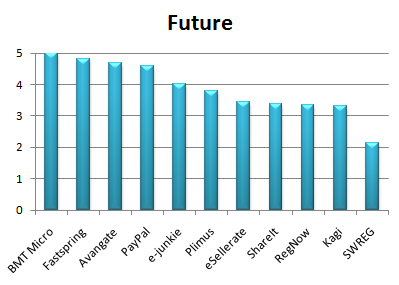 Profitability for a start. Feel free to publish your own analysis. Thank you to everyone that took part in the survey. Calculating the mean of all the ratios probably isn’t the way a proper statistician would do it. But anything more seems overkill given the limited size and unverifiable nature of the data set. 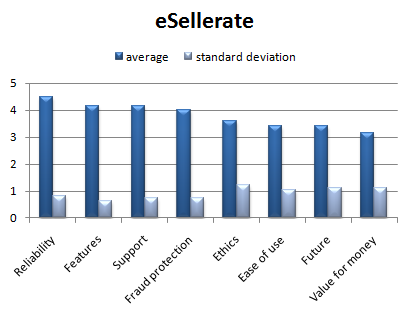 This entry was posted in article, marketing, software, surveys and tagged 1%, conversion, download, metric, ratio, sale, software, visitor, web on 23 April 2009 by Andy Brice.